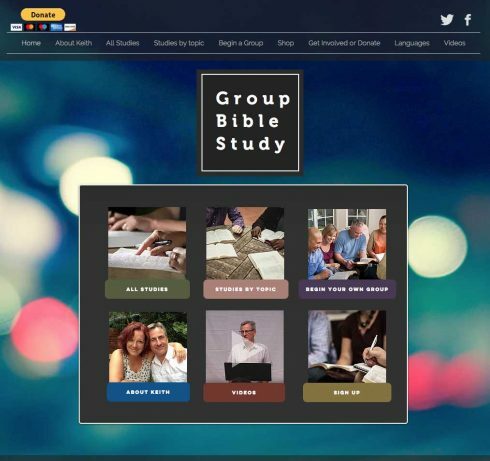 I’ve mentioned GroupBibleStudy.com before as a website I work on and have helped develop for my friend Pastor Keith Thomas, but didn’t realize I’ve been doing it for 7 years — shocker. It is now time to hand it over to a new volunteer … and I’m finding it difficult to relinquish control, but also know Keith would love to keep his life’s work “in the family” — his daughter will be helping him. His millennial and tech savvy daughter Anna has volunteered to give the site a makeover and politely argued her point that the “current WordPress CMS site was not up to modern mobile web design standards” (all true). 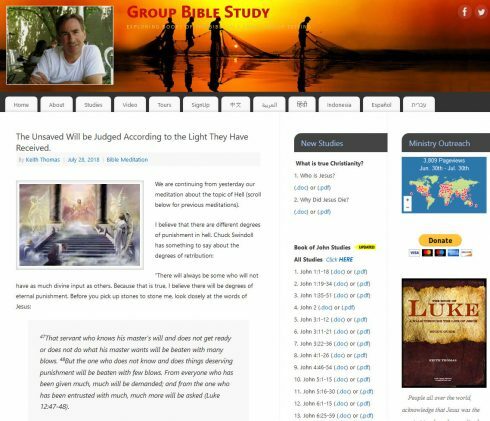 Keith and I often chat about a refreshed look that would be more mobile friendly, but likely because we are both older and set in our ways, we hated the current “Google-forced” look without everything on the front page and at our fingertips. Time will tell if the new look will pass muster with readers around the world … comments and analytics. No matter, I ‘m glad to have fresh and younger blood wanting to share the Gospel and am hoping Keith’s daughter enjoys helping her dad continue to share the Word while learning web design as a possible career?